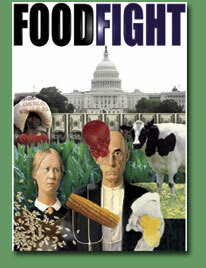 March 1: Dan Imhoff on Why the Farm Bill matters and what we can do about it! Come hear nationally renowned author, researcher, publisher and farmer Dan Imhoff speak about the 2012 Farm Bill. Dan Imhoff is the author of two important books: CAFO: The Tragedy of Industrial Animal Factories and Food Fight: The Citizen’s Guide to a Food and Farm Bill. Location: Architecture Hall, University of Washington (just East of 15th Ave NE and 40th St on the UW Campus). Thanks to the efforts of the Northwest Farm Bill Action Group and UW Department of Urban Planning and Design in the College of Built Environments, there is no charge for this event! The Farm Bill is perhaps the single most significant land use legislation enacted in the United States, yet many citizens remain unaware of its power and scope. As debate and wrangling over the 2012 Farm Bill intensifies, Dan Imhoff will offer a highly informative and engaging overview of the legislation that literally shapes our food system, our bodies, and our future. The Northwest Farm Bill Action Group, a primary sponsor of this event, is a new group building a diverse alliance of people and organizations in the Pacific Northwest who advocate for a more healthy, sustainable, and equitable food system. Through collaboration, we provide a space for Pacific Northwest communities to educate themselves about the upcoming Farm Bill and to cultivate the tools to take action and effect policy change to work for a better food system. Daniel Imhoff has appeared on hundreds of national and regional radio and television programs. He has testified before Congress and spoken at numerous conferences, corporate and government offices, and college campuses. Dan received a B.A. in International Relations from Allegheny College and an M.A. in International Affairs from the Maxwell School of Public Affairs at Syracuse University. Event Sponsors: Northwest Farm Bill Action Group and UW Department of Urban Planning and Design in the College of Built Environments.